Got to have a little fun once in a while, eh? 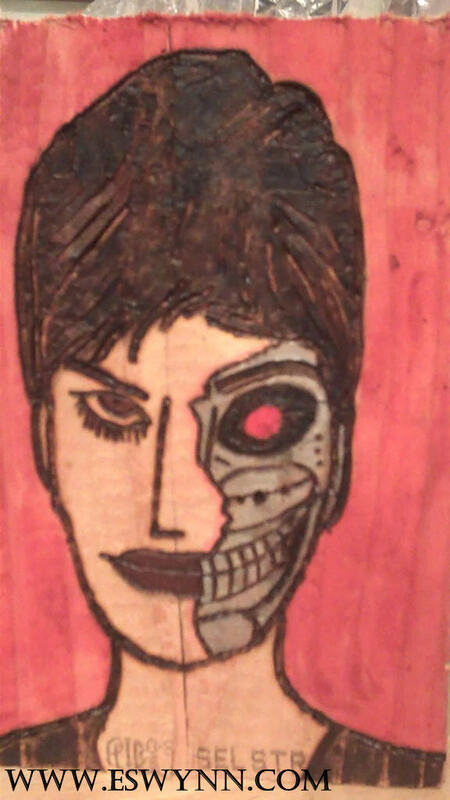 This one is Sophia Loren as a Terminator (as requested by my fiance’. Man I love pyrography!